EML to NSF Converter is the transcendent proven program driven by well-organized algorithm which Convert EML files into NSF. Its high-class algorithm performs a safe, secure and fast EML to NSF Conversion process. The Software Voluntarily Import EML files which are created by different email applications as like- Mozilla Thunderbird, Outlook express, windows live mail, windows mail and IncrediMail and convert them into NSF format. Batch conversion, also provided by the EML to NSF Converter Software. 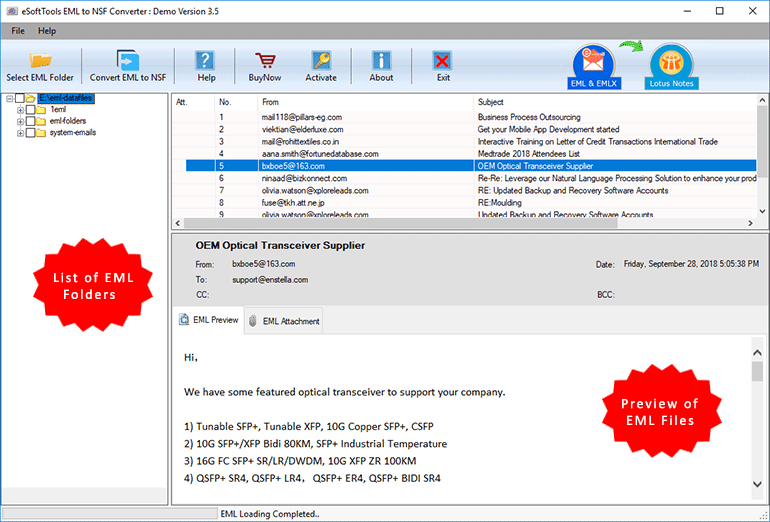 Export Windows Mail, Windows Live Mail, Thunderbird and Outlook Express EML files. Demo version EML to NSF Converter software allwed to import 25 EML files to IBM Lotus Notes NSF file. 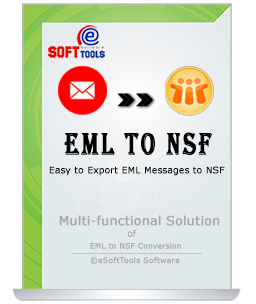 EML to NSF Conversion Software can be used to import EML files in lotus notes and the best thing of the software is it supports EML files of any EML based email clients such as- thunderbird, mac mail, windows live mail, windows and outlook express etc for Conversion email messages into NSF database. With EML to NSF Converter Software, this became conceivable to elect a complete folder from EML files at once for conversion. Software will generate an individual NSF file having the entire NSF emails saved in it. Also, during saving EML files to NSF, the program keeps the attachments embedded within NSF file emails. Yes, this is true we know there lots of users who have outlook installation issues and with keeping need of that kind of users in our software we added the feature that in spite of having no outlook installation users can install this EML to NSF Converter Software on their machine and get know how to convert EML file into NSF format by getting easy instructions. Software has advanced feature that it converts the EML files with maintains folders hierarchical structure. It means all EML messages will be recovered as they are kept in folders and sub-folders in hierarchical manner. Software will also keep emails formatting or properties (to, bcc, cc, time and from) while conversion time. The conversion process is totally depended on users because in software functionality a feature has been added that is “Export Selective Folders or Emails”; users can choose this option by check or un-check folders or emails after complete selection quickly import the entire selected folders from EML files supported any email clients as like- thunderbird, windows live and outlook express etc to NSF. Convert EML to NSF Software integrates an easy- to -use, intuitive and interactive graphical users interface. By the given detailed instructions, any kind of users whether they are technical or beginner can easily and successfully learn how to convert EML files into NSF format (Export EML files into equivalent lotus notes NSF file) without taking another help within seconds and all the conversion time will be depended on the EML file size. How many EML files, am I able to convert at a time by using this EML to NSF Converter Software? 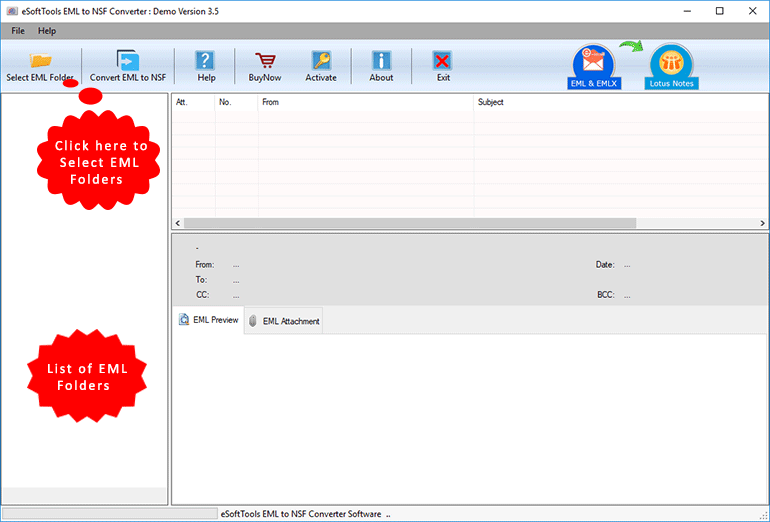 There are no maximum files limits for migration, by using this eSoftTools EML to NSF Converter tool all users are capable to select the whole folders in which their EML files are stored. There users don’t need to select the EML file one by one for migration; this might be time taking task so just avoid this situation and select the complete EML folders for conversion. Can I Convert thunderbird or Outlook express EML files into NSF lotus notes database? 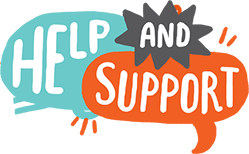 Yes, of-course, not only this, you can export your EML files that created in outlook express, windows live mail, mozilla thunderbird, Apple Mail and IncrediMail etc freely into NSF database. Do in Need to Install Lotus Notes Application before start conversion steps? Is this software compatible with Windows 8.1 OST for installing and conversion? Yes, now the EML to NSF Converter Software capable to supports latest windows 10, windows 8.1, windows 8 and below versions for installing and conversion. Will software preserve EML files in their original formatting after complete conversion process? Yes, this EML to NSF Conversion Software capable to export EML files into Lotus notes by preserving the same email formatting and meta- properties. Really, this one is safe and trustworthy program to convert EML to NSF. Lotus Notes should be installed.